• Unapologetically awesome 360-degree sound with deep bass. • Waterproof (IPX7 rated) life-resistant shell designed for adventure ( Waterproof for up to 30 minutes and a depth of 1 meter). • 65 ft. Bluetooth wireless range and 9 hr. battery life go as long as you can (Actual wireless range and battery life will vary with use, settings and environmental conditions). • Marine-grade bungee cord attaches to you or your bike, backpack, snorkel or whatever. 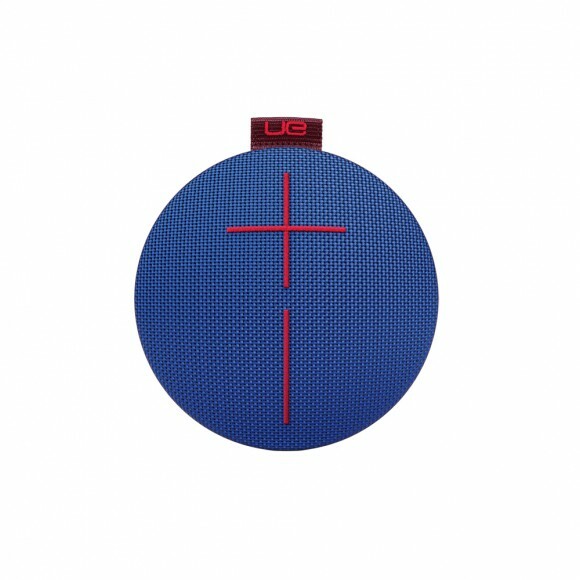 • UE ROLL companion app-tune it, alarm it, Double UP the sound by pairing it to another Ultimate Ears speaker.